In a Washington divorce, the court must characterize the assets as separate or community property. While categorizing some types of property are fairly straightforward, others can be more complicated. Employee stock options, for example, are characterized based on when they were acquired. The court must look not only at when the stock options were granted, but also when they vest and what they were intended to compensate. If the stock options are vested, they are acquired when granted. However, the court must apply the “time rule” to unvested stock options. The time rule is a formula that allocates the stock options according to the services performed before and after separation. The court must first determine if the employee received the stock options as compensation for past, present, or future services. Unvested stock options granted for present services during the marriage while the spouses are living together are acquired when they are granted. If the unvested stock options compensate for future services, they are acquired as they vest. Once it makes this determination, the court then must apply the time rule to the first stock option to vest after the separation date. Property acquired during a marriage is presumed to be community property, but Washington property division attorneys know there are exceptions to that rule. Property that one spouse inherits or receives as a gift is presumed to be that spouse’s separate property. A Washington appeals court recently considered whether inherited property in another country became community property when the husband claimed to have paid taxes and bought out other heirs with community funds. The couple married in 1985 and separated in 2014. The wife had inherited property in Peru that had been in her name since the 1990s. The husband argued he had built it up and bought out the other heirs. He said he had worked for one of the heirs to buy the property. He also argued that he paid $200 per year in property taxes. The trial court found the property in Peru was the wife’s separate property by inheritance. The husband appealed, arguing the trial court had mischaracterized the property in Peru and therefore divided the property inequitably. The court must distribute the assets in a divorce if the couple does not reach an agreement as to distribution. Certain property may be considered separate property. In Washington, an asset is separate property if it is either acquired before the marriage, acquired during the marriage by gift or inheritance, or acquired during the marriage with the traceable proceeds of separate property. If property is acquired during the marriage, it is presumed to be community property. Washington divorce attorneys know, however, that separate property may become community property in certain circumstances. A Washington appeals court considered whether certain assets were separate or community property in a recent divorce case. The husband appealed the distribution of property. Both parties had worked and begun funding retirement prior to their marriage. The husband had worked for the same employer for 20 years prior to the marriage, and he contributed to a 401(k) during that time. He continued to work for the company and contribute to the 401(k) for two years after the marriage. The company subsequently merged with another organization, and the husband lost his job. No one wants to think about divorce before they are even married, but a prenuptial agreement can protect both parties if the marriage doesn’t work out. While most people think in terms of either being married or divorced, Washington divorce attorneys understand there may be significant periods of separation. If a prenuptial agreement does not specifically address what occurs during the separation, the parties will likely be considered married until the dissolution. This could result in separate property converting to community property during the separation, as occurred in a recent case. The husband had become wealthy from the stock options he received as a Google employee. The couple signed a prenuptial agreement and married in September 2005. They separated in 2014 when the husband filed for divorce. They reached an agreement on a parenting plan for their child, but they had to go to trial to resolve their financial issues. The husband appealed the trial court’s distribution of property, challenging the interpretation of the prenuptial agreement. In any divorce, it is important for the parties to identify all of the assets they want to be considered and divided. While all of the property is before the court for distribution in a divorce, the court can only distribute those assets of which it is aware. If the parties fail to follow the appropriate procedures to timely identify property, the court may exclude evidence of that property. A Washington appeals court recently reviewed a case in which the trial court had excluded certain property that had not been included in the property worksheets the parties submitted before trial. The parties each submitted property worksheets with their trial briefs before trial. At trial, the wife testified about property that was not included on the property worksheets. The husband objected to this testimony, but the objections were generally overruled. Often, the family home is one of the more difficult assets to address in a divorce. Even if both parties agree to sell the home, the process can still be difficult. 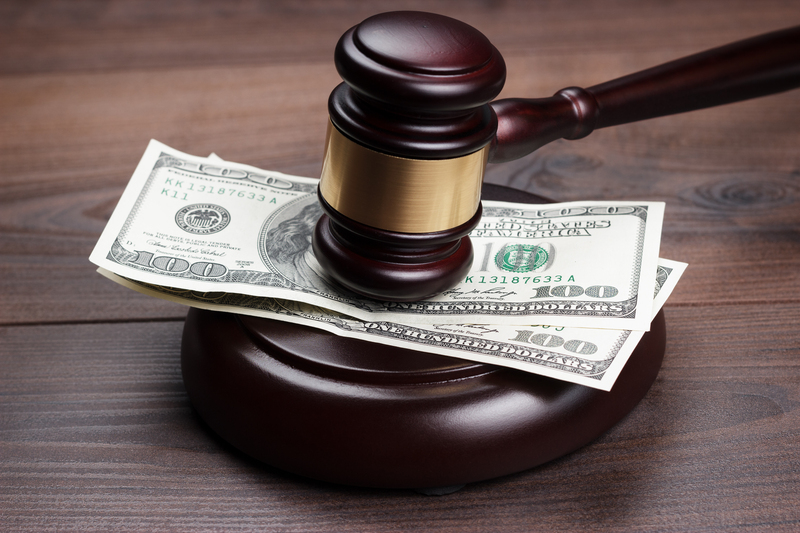 In a recent unpublished case, a Washington appeals court determined whether the sale of a home was “imminent,” as required by the divorce decree, or whether the husband was required to pay the wife $15,000 because it was not imminent. The marriage was dissolved by a degree of dissolution that awarded the home to the husband. The wife was required to execute and deliver a quit claim deed. The trial court subtracted $30,000 from the net value of the home for the closing costs and used that reduced value to determine the property award. The court subtracted the closing costs because the husband assured the court he intended to sell the home imminently. The decree included a provision that required him to pay the wife $15,000 if he did not sell the house “imminently,” which was defined as within nine months from the entry of the decree. February 18, 2016 was nine months from the entry of the decree. A purchase and sale agreement was signed on February 11, 2016, although the purchase was subject to contingencies. The buyers then waived all contingencies on February 17. The wife moved the court for an order enforcing the decree and awarding her the $15,000 on March 10. The sale of the home then closed on March 15. Washington courts are to consider several factors when determining property distribution in a divorce. Those factors include the nature and extent of community property and of separate property, the duration of the marriage, and the financial circumstances of the parties. Thus, although the court characterizes property as community or separate, it may award one party’s separate property to the other if necessary to reach a just and equitable distribution. A Washington appeals court recently considered whether the duration of the marriage outweighed the characterization of property as separate. The couple was married approximately 45 years. They lived on the property the husband’s grandparents had homesteaded without paying rent or mortgage. The husband ultimately inherited the property. The husband had been a farmer, and the wife was employed by a department store. They each earned around $20,000 per year and lived paycheck to paycheck. The husband inherited several hundred thousand dollars, however. The wife petitioned for dissolution in 2014, and they separated later that year. They were 72 years old at the time. The wife had a monthly income of about $1,100, including social security and a pension. The husband had a monthly income of about $1,900 from social security and federal crop reclamation project payments. Under Washington law, courts may order postsecondary support for children in some circumstances, but as a recent case reminds us, it is not automatic. Parents must be sure they understand the child support order and follow any deadlines for filing the petition for postsecondary support. It is important that parents consult with their attorneys before the child turns 18 or graduates from high school. The child support order may require the parent to petition for postsecondary educational support before the child’s high school graduation. In this case, the child support order stated that support would continue until each child reached the age of 18 or graduated from high school, whichever was later, but not after a child reached the age of 19, except as provided in the paragraph on postsecondary educational support. That paragraph provided that the right to petition for postsecondary support was reserved as long as it was exercised before the child turned 18. The child had already turned 18 at the time the father filed for postsecondary educational support, but they were still in high school. The court dismissed the petition as untimely, and the father appealed. Divorces can be very complicated when a valuable business is part of the community property. The party who keeps the business may be unable to pay their spouse’s share immediately, resulting in long-term property distribution payments and interest. A Washington appeals court recently addressed these issues in the unpublished case of In Re: Marriage of Cheng. The wife had graduated from Harvard Business School in 2002 but had not really been employed since. The husband had a consulting and distance learning company that the court valued at $3.6 million. The trial court awarded the wife $640,000 in maintenance to be paid over 44 months and a judgment of $1.455 million with 6% interest over 15 years as property distribution. The court also awarded child support greater than the standard calculation. The husband appealed. The husband argued that the wife was receiving an improper double recovery. Trial courts are to consider “all relevant factors including but not limited to” those listed in RCW 26.09.090(1) when considering how much maintenance should be awarded. The maintenance award must be just, but the trial court otherwise has broad discretion. One of the listed factors is the division of community property. If the maintenance and property award are paid from the same asset in a way that unfairly burdens the spouse that is paying, the maintenance may duplicate the property division.